Settled on the soil among vegetable seedlings the fluffy white dandelion seeds are impossible to remove and within a week they’re almost all converted into seedlings themselves. Indeed their germination rate is the envy of any vegetable seeds. 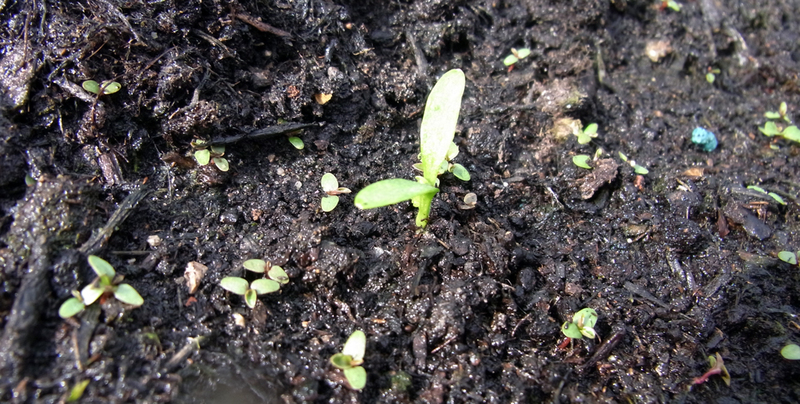 It’s when they’re tiny seedlings, smaller than a grain of rice, that I pounce and scrape them away, handful by handful, with the top layer of soil. 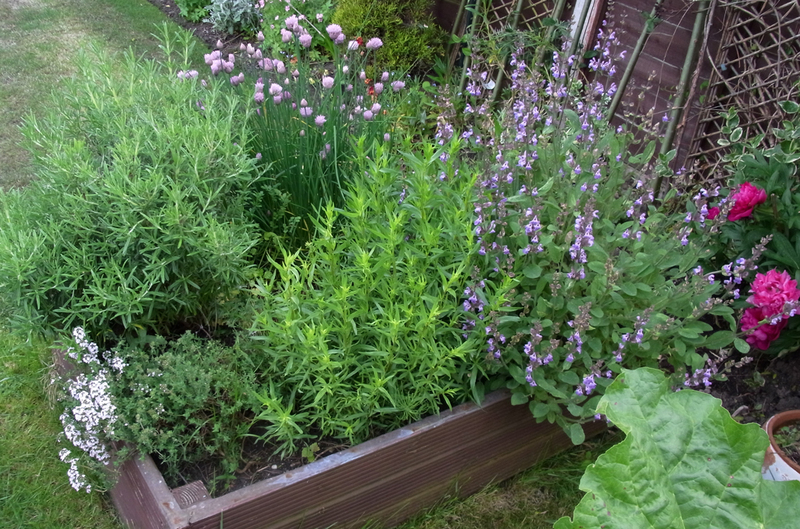 It’s painstaking, at least an hour per raised bed, but the result – beautifully clear, pure soil – is a joy. Clearing one bed this evening opened the door to planting out some nice scarlet kale plants, which I’d started from seed a couple of months ago. I raked in some brassica feed granules and a cheap cloche cover from Asda will help them acclimatise for a few days, at which point I’ll add some brassica collars. 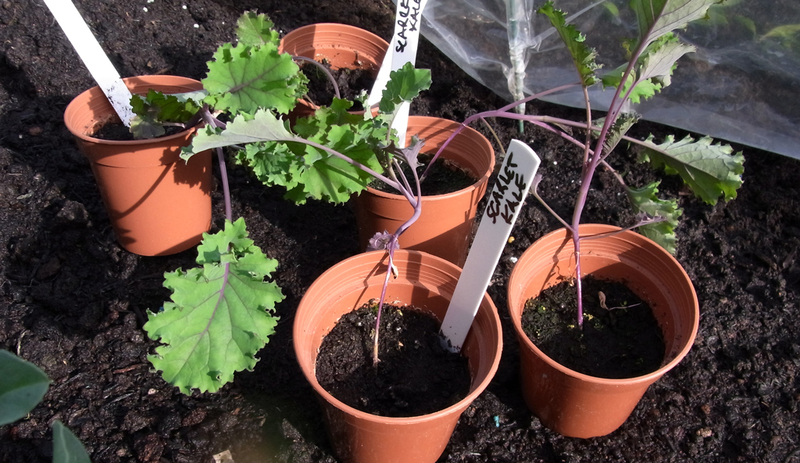 The kale plants are an attractive mix of green and purple and it seems I have a bit of a purple thing happening this year. Purple Teepee French beans, purple Crimson King basil, purple beetroot (obviously), purple Rosedale lettuces and the menacing Pink Tiger chilli plants have now turned purple. 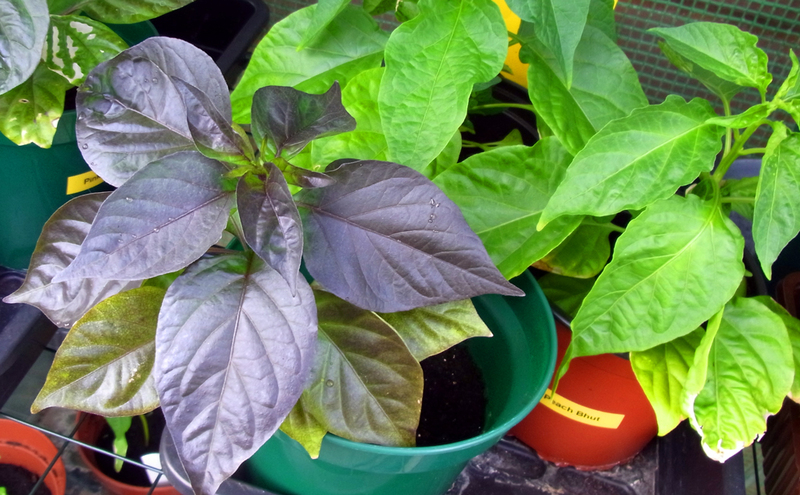 Pink Tiger chilli plants turning purple. Peach Bhut in the background staying green. In the herb bed several of the plants are now in flower: from tiny white thyme flowers to the pink pom-poms on top of the chives and delicate lilac flowers on the sage. The mix of aromas when you accidentally on purpose brush against these plants is mesmerising. 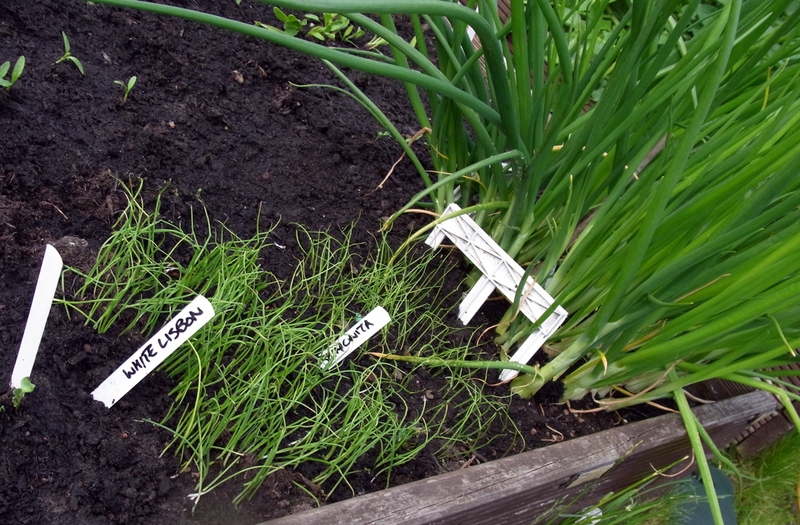 I seem to be having unusual good fortune with spring onions this year. They don’t always work for me but the over-wintered White Lisbon are huge and delicious. They overlook a small patch of standard White Lisbon and some Japanese Shimonita, all of which have sprouted really well. When I grow up I want to be a big spring onion, like those ones over there .. Elsewhere, one of the courgette plants is in flower, as are the strawberry plants, now in their second and hopefully most productive year.